Representing nearly 50% of its total economic output, Panama’s exports to Latin American and North American countries include chemicals, pharmaceuticals, electrical machinery, and footwear. A Central American country stretching from Costa Rica to the west across to its southeastern border with South America’s Colombia, the Republic of Panama ships $11.2 billion (USD) worth of goods around the globe every year. Dominated by the agricultural and fishing sector (60 percent of total exports), Panama’s export volume grew by 7.9 percent year-on-year to $61.6 million (PAB) in June 2018, boosted by shipments of bananas (9.6 percent); pineapple (6.6 percent); other sea products (679.2 percent); coffee (39.6 percent); sugar (52.5 percent) and flour and fish oil (98.4 percent). The country’s biggest export partners are the U.S., Canada, Netherlands, Sweden, and Costa Rica. The North American market represents 40 percent of total exports. 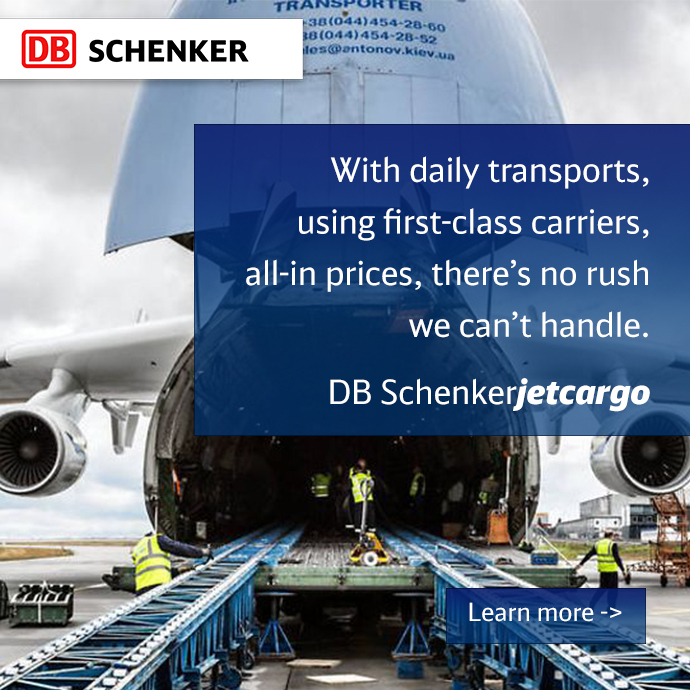 For DB Schenker, Panama’s highest-volume exports included fuels, machinery, vehicles, iron and steel rods, and pharmaceuticals in 2017. According to the Central Intelligence Agency’s World Factbook, Panama’s exported goods and services represent nearly 50% of total Panamanian economic output (Gross Domestic Product or GDP)—making exports an extremely important economic driver for the country. Roughly three-quarters (64.4%) of Panamanian exports were delivered to Latin American countries, while another 23.7% were sold to North American importers (followed by 4.1% for European buyers and 3.2% for customers in Asia). With a population of 3.8 million people, Panama’s annual $11.2 billion in exports translates to roughly $3,000 for every resident in the Central American nation. Other key exports included machinery/computers, perfumes/cosmetics, beverages, and rubber. Panama’s thriving export business can largely be attributed to the strategic location of the Panama Canal, a critical waterway that was recently dredged, enhanced, and expanded. Before the expansion, vessels passing through the canal were limited to capacities significantly below 5,000 TEU. Larger container ships were forced to travel west and circumnavigate Africa’s southern tip. The longer route added cost, time and far higher levels of CO2 emissions. Open since mid-2016, the canal’s recent $5.25 billion expansion is its largest-ever enhancement project in its 102-year history. According to Inbound Logistics, the heart of the ambitious undertaking was the construction of a new set of locks on both the Atlantic and Pacific sides of the waterway and the excavation of more than 150 million cubic meters of material. 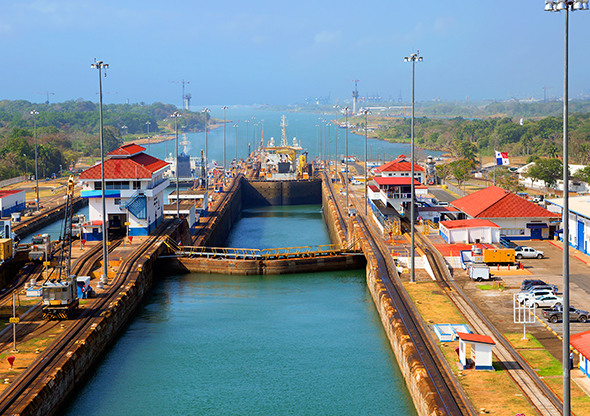 The resulting new lane of traffic doubles the cargo capacity of the canal, the publication reports, noting that the new locks are 70 feet wider and 18 feet deeper than the original portion of the canal. According to the American Journal of Transportation’s Expanded Panama Canal performance exceeds expectations, the Panama Canal has attracted 15 new liner services and welcomed an average of six Neopanamax daily transits. According to the Journal of Commerce, more companies are recognizing the potential for Panama to become a center for distribution throughout Central America, with some beginning to locate manufacturing and distribution capabilities in the country, where they can be closer to many of their customers. 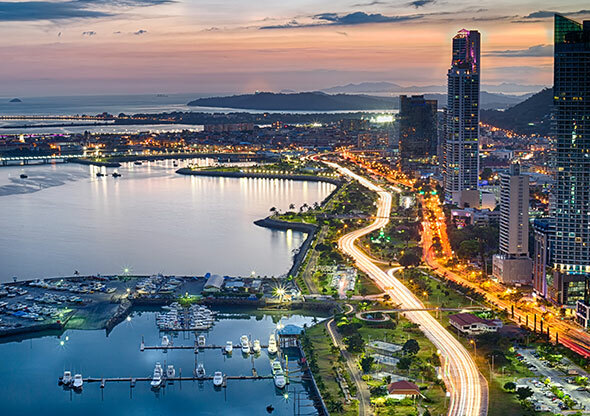 Depending on the specific company’s supply chain, a presence in Panama may offer an alternative means for manufacturing their products closer to their destination. St. Paul, Minnesota-based 3M, for example, relocated its production lines of after-market paint guns, polishing equipment, and other automotive-sector equipment from Asia and Mexico to Panama. And for medical equipment manufacturer Covidien, Panama offers a lower-cost alternative for repackaging some products made in the U.S. but destined for Latin America, JOC reports. Finally, computer maker Dell now operates a shared-services center at Panama Pacifico that provides services for its human resources and financial services departments, and technical support for its finance department. Calling Panama “one of Latin America’s fastest-growing economies during the past decade,” JOC says the country’s real GDP expanded by an average 8.4 percent annually between 2004 and 2013. The sectors that will enjoy the strongest growth are construction, mining, transportation, and real estate, the publication notes.